Stefano and his team were prompt, professional - and they did a great job on fitting our kitchen with all the electrics. I'd recommend them to anyone. We had Stefano re-wire our whole property. The price was very competitive and the service was excellent. Kitchen and flooring look great – thank you for everything. Thank you for the rewiring my thatched home sensitively, on time and in budget. You are welcomed back anytime. The kitchen looks fab, thank you. 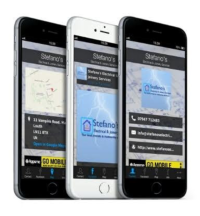 Professional, friendly, honest and caring – I would highly recommend and will always use Stefano's Electricial & Joinery Services. Thank you for rewiring our grade II listed property without damaging any of the orginal features, including our large covings and skirtings. Thank you for your dedicated team – working late to get everything done on time – we are very grateful. Thanks to you and your team for all you've done. We're very pleased. We'd like to take the opportunity to thank you for the quality of workmanship, the help and assistance through-out and your understanding over the difficulties with regards our suppliers. 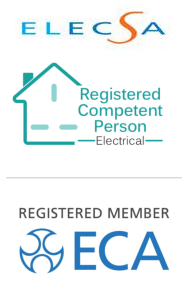 We will be happy to recommend you to others and no doubt when we require more electrical work in the future we'll be in touch. Many thanks to you and your team for the hard work and skills you have at your disposal. We have recommended you to others and look forward to using you again in the summer. You made my move from London so pleasurable. Friendly and lovely team. Cannot do enough to help. Thank you for all the work – especially the log burner, which looks stunning. Thank you for all your work and help. Will miss you team not being here. Thank you for the way you rewired by home and putting it back together while I was on holiday. I cannot believe you finished on time. It all looks great – especially the kitchen lights! "like to express my thanks for the efficient and friendly manner in which your team carried out the work"
If you have any feedback on our service - we'd love to hear from you so please contact us.